One of the most important decisions you will make in the lifetime of your kitten is to decide on its nutritional needs. This may not always be a simple choice since there are so many options available to the discerning pet parent today. 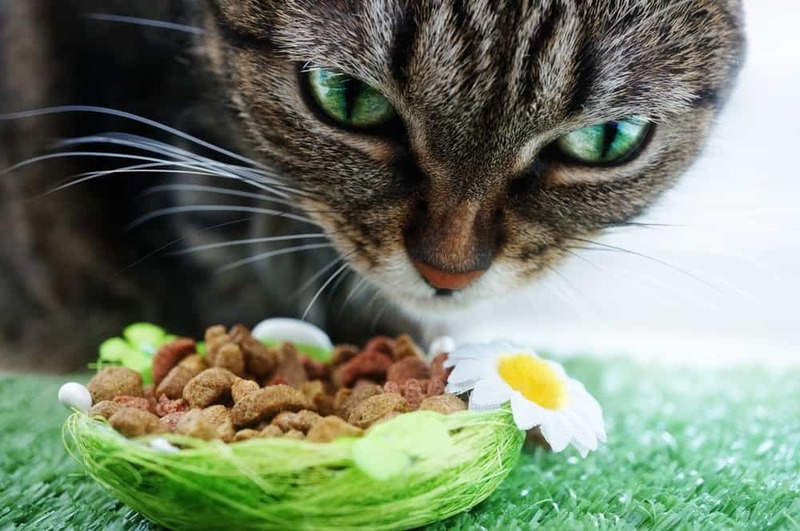 In this article we are not only going to cover how much wet food to feed a kitten per day, but we will also discuss the difference in wet food quality and what you should look for when choosing a brand. According to veterinary science, when your cat is iron deficient it will affect the production of red blood cells. Red blood cells naturally occur through the marrow of the bones. Without the sufficient amount of iron, these red blood cells will be too small and will lack the oxygen-carrying properties to be productive. We love to share our food with or cats…or sometimes they just nab it off our plates when we’re not looking. However it works in your home, there are many people foods that are healthy for our feline friends and make a nice alternative to those prepackaged treats and dinners. But in the same line of thought, there are also toxic foods that can cause immediate or long term illnesses in our pets. Potassium is a natural mineral that is crucial for both the health and well-being of our cats. It can be found in many foods and is usually added into a well-balanced kibble made specifically for felines. But how do we know if our pets are getting enough potassium and if not how do we supplement them with this vital ingredient?